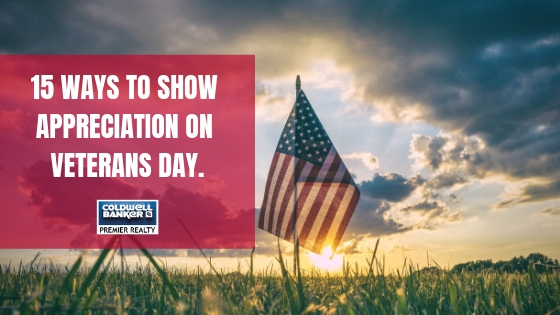 15 Ways To Show Appreciation On Veterans Day. Veterans Day is an important day for showing appreciation to past and present military members. 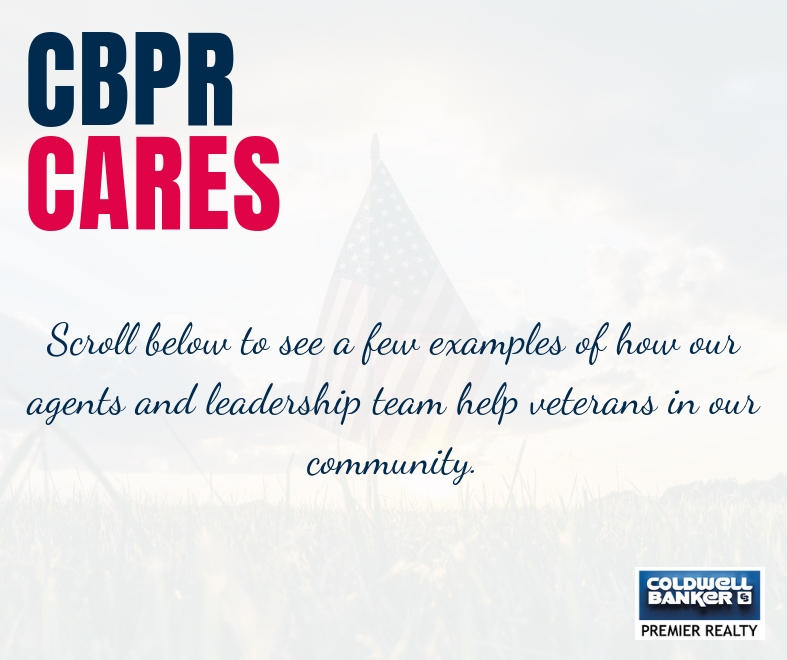 Inspired by the work many of our agents and employees do for military veterans and their families, we have come up with 15 ideas for you to express your gratitude. Whether you want to do something nice for a military member in your life or make a meaningful contribution to veterans everywhere, there is something on this list for you! Take a moment out of your day to call a veteran in your life to say thank you. It is a simple task but makes an impact. Many restaurants in the Las Vegas Valley are offering veteran and military discounts all weekend long. Check out THIS LIST of Veterans Day discounts. Donate to Puppies Behind Bars, a wonderful program that trains prison inmates to raise service dogs for wounded war veterans and first responders. Start a Victories for Veterans Challenge for disabled veterans. This program allows you to set a personal fitness goal and create a personal fundraising page to share with family and friends to help you meet your goals. Cheer on the teams participating in the 2018 Honor Ride. Take your favorite Veteran for BBQ and a free pint at CraftHaus Brewery. You can RSVP HERE. Spend meaningful time with your family and friends creating care packages and writing letters to active military members. Donate to Honor Flight, a non-profit organization that fly’s WWII Veterans to Washington DC to visit their memorial. Help Future generations remember their stories. The Veterans History Project collects, preserves and makes personal accounts of American war Veterans accessible for future generations to hear first-hand accounts to better understand the realities of war. Help keep veterans off the street by donating or volunteering your time to the National Coalition for Homeless Veterans. Visit and pay respects to the traveling Vietnam Veterans War Memorial in Las Vegas through Sunday. Located at 500 S. Las Vegas Blvd. Donate food, clothing or toiletries to Veterans Village Las Vegas. Share THIS PAGE on your social media to raise awareness and help bring female veteran housing to Las Vegas. Participate in a virtual adoption of a horse at the Las Vegas Horses4heroes. An organization that works with veterans who suffer from PTSD and their families. Attend the Veterans Day Parade in Downtown Las Vegas. 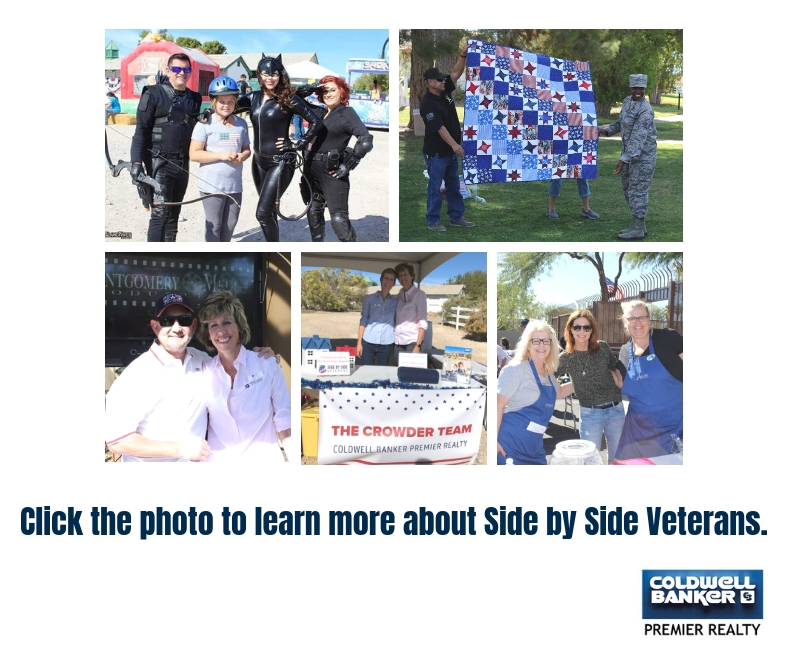 Carol Crowder and Kelly Waggoner of the Crowder Team along with Kristi Pritchett and Annie Manderscheid Zaic, who are members of the CBPR leadership team are founding members of Side by Side Veterans, a community outreach platform for veteran causes that strives to assist nonprofits in their mission to help local veterans and rally the community to lend their support. They recently held their 4th Annual Veterans Fair at Floyd Lamb Park. Share this post on your Facebook page to spread the love and appreciation even farther. Don't forget to tag #CBPR to let us know if you plan on participating in any of these activities!